Formerly known as the American Association of Blood Banks, the non-profit, membership association has existing for much of the last century as a key player in the advancement of practice and standards of transfusion medicine so as to optimize patient care and safety. 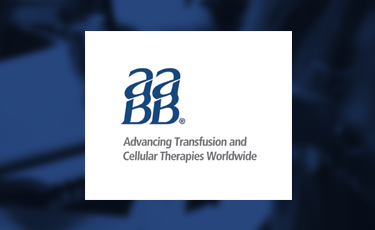 However, the AABB board of directors recognized that the traditional ‘blood’ world, comprised of transfusion services departments within hospitals and blood banks who collect, store and supply the blood products, was overlapping and integrating with the emerging field of cellular therapy, which includes emerging stem cell treatments, cord blood storage, and bone marrow-derived treatments. While the organization already played a relatively limited role in the advancement of cellular therapy standards and education, it was clear that AABB needed to make a large and significant investment in the market to ensure it remained relevant and effective to its mission. AABB recognized that its organization was founded on conservative principles and a culture of stable processes and quality assurance. However, the cellular therapy field is often labeled as the ‘wild west’ of the medical field, given its diverse therapeutic areas, types of physicians, and varying degrees of regulatory oversight. AABB quickly realized that in order to effectively deliver its mission to the cellular therapy market, it must adapt to the rapidly moving and dynamic landscape. As a result, AABB engaged SMI’s consulting services to help clarify its market opportunity in cell therapy, clarify its specific strategy to invest in the market, work with the Board of Directors to ensure proper buy-in and support, and then to implement a robust and effective strategy management process to drive quick and disciplined execution. Within the first six months, AABB hired key new staff and leadership positions to lead the charge, as well as implemented a new and disciplined strategy execution review process. The organization quickly demonstrated quick inroads into the marketplace through new partnerships and service offerings. New strategies are often based on taking carefully calculated and weighed risks. However, with new and emerging markets, it is often the case that organizations must simply take the leap and start engaging. Many make the mistake of waiting by the sideline to assess the unknowns, only to be left behind by those who dared venture first and learned as they went. In the end, a disciplined strategy management process is the risk-mitigating factor to enable organizations to enter the unknown and, ultimately, navigate intelligently, swiftly, and successfully.